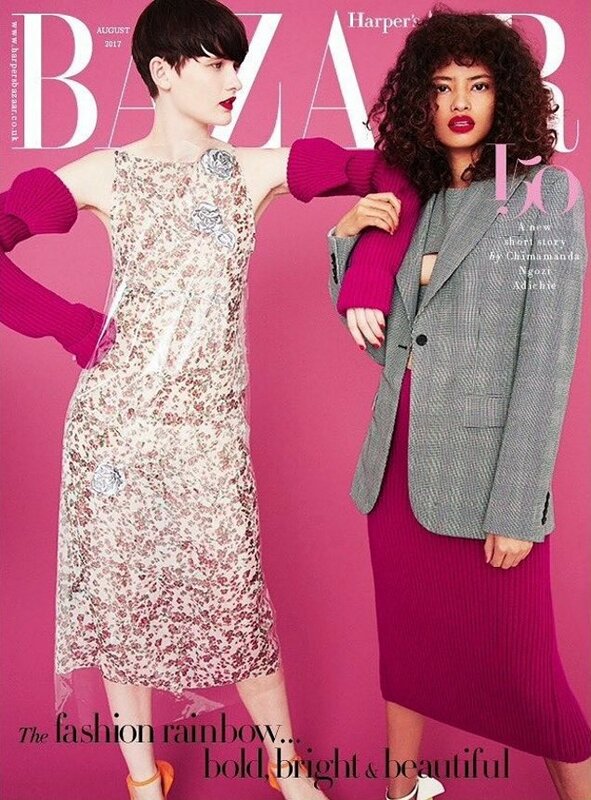 Models continue to reign supreme at UK Harper’s Bazaar during 2017, with Karen Elson appearing on the June cover and a beaming Ashley Graham fronting July. Now, Bazaar‘s series of colorful August covers features diverse beauties including Irina Kravchenko, Lara Mullen, Ling Chen, Malaika Firth and Polina Oganicheva. Photographed by British Bazaar staple Erik Madigan Heck and styled by Leith Clark, the girls star on the magazine’s six unique covers to celebrate the new season. Overall, the covers weren’t well-received by our forum members. “I hate when they put any editorial shot as a cover. It’s so clueless to think just anything can work as a cover,” said A.D.C upon seeing the subscribers cover (above). “Whoever thought this shot would work as a cover image must have been high,” stated a far from impressed apple. In agreement over how underwhelming everything looked was honeycombchild. “Ergh, the British monthlies make me so sad lately. There was a time when British Harper’s and ELLE were just nailing it repeatedly. Everything has just gone so off the boil, across the board,” he shared. “The newsstand cover (below) is the most garish thing I’ve seen for some time. Maybe if you really like yellow,” tigerrouge said. “A complete mess. What’s with all the different covers? British Harper’s Bazaar has become so bland. The only thing I like is the choice of models,” reasoned magsaddict. Check out the remaining covers, see what else the issue has to offer and come join the conversation here.